Ahmedabad Police Commissioner A.K. Singh said the request for permission for the road shows had been rejected because of security concerns and the likely inconvenience to public. 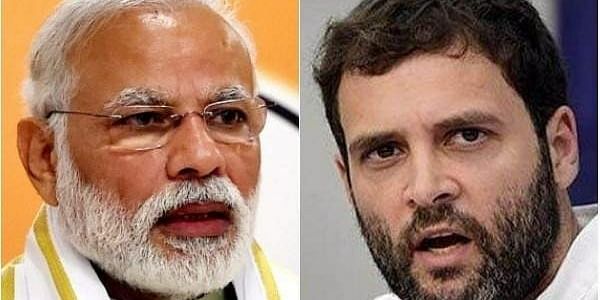 AHMEDABAD: Scheduled road shows of Prime Minister Narendra Modi and Congress President-designate Rahul Gandhi in Gujarat here on Tuesday have been cancelled with the police refusing permission on the grounds of security and traffic congestion. Both the principal opponents in the Gujarat Assembly elections had organised massive road shows by their key campaigners on the last day of electioneering for the second phase of polling for 93 out of 182 seats on December 14. Polling for the rest of the 89 seats was held on December 9. The Bharatiya Janata Party (BJP) had planned a 35 km day-long road show by Modi to take him through all the 16 constituencies in the city. The Congress had also organised a similar event though through a different route. While Gandhi's programme was still being firmed up late on Monday night, the BJP too, announced around 10 p.m. that Modi would be taking a special sea-plane from the Sabarmati river and travel to the famous pilgrimage Ambaji Temple by road after landing on the Dharoi dam waters in North Gujarat. The Prime Minister would return to Ahmedabad around 2.30 p.m. by the same route, though it was not announced if he would conduct any more public meetings in the city or anywhere else in central and North Gujarat where the second phase of polling is to take place.